Those who wore the patch alongside us and are no longer with us. During the year the 1st Battalion 158th FA (SECFOR) was in Iraq, 823 U.S. servicemembers lost their lives in the country, including one the 158 worked with every day: SFC Isaac S. Lawson. Below are tributes to the men with connections to the 158. To learn more about the over 4,000 who died during Operation Iraqi Freedom, click here. Joseph Killman died in December 2013. He was in the 158 with all of us. He was in Jack Bruesch's and Cliburn's squad during the 2006 tour that gave birth to the OIL. He was funny, tough, and reliable. His death reminded us all how much we care about and miss each other. Even in death, Killman brought us together. At least 50 members of the 158, both past and present, attended his funeral. It was great seeing everyone that day, but the circumstances were awful. We shared stories about him and laughed and smiled. The AFC trophy is named after him. Killman served his country with honor. He was exactly the kind of guy you wanted in your squad. He and his smile will be missed. His obituary is reproduced below. Funeral services for Joseph Carl “Jody” Killman, of Chickasha, will be 10 a.m., Tuesday, Dec. 31, 2013 at the Bible Baptist Church. Joseph Carl “Jody” Killman was born Dec. 22, 1984 in Chickasha, to Floyd Franklin and Reba (Boswell) Killman. He passed away on Thursday, Dec. 26, 2013 in Oklahoma City, at the age of 29. 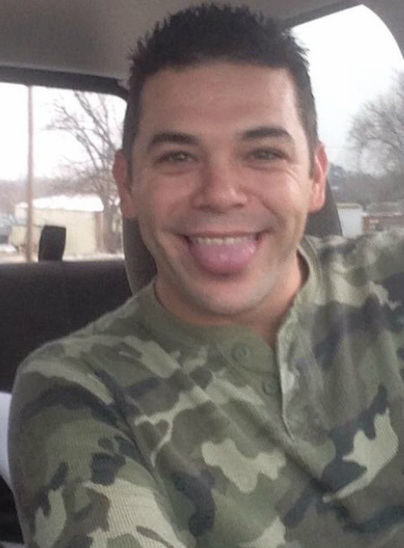 Jody lived in the Chickasha area his entire life and graduated from Chickasha High School. He served in the Oklahoma Army National Guard and deployed for a tour of active service before being discharged in 2006. He married Tanya Harrison on Nov. 24, 2013. He was employed with Brumley Welding. He is preceded in death by his father, Floyd Killman on Feb. 10, 2011. Jody is survived by his wife, Tanya Killman; his mother, Reba Killman and two sisters: Frankie Killman and Amanda Adamson. Interment will be in the Fort Sill National Cemetery, Elgin, under the direction of Sevier Funeral Home. Landrum was not with the 158 during the Iraq mission in 2006 that started the OklahomIraqis League. But he was an Oklahoma soldier, and he later spent a year in Iraq with the 158th FA in 2008. 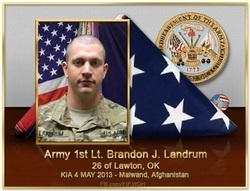 Members of the 158 will remember him as SPC Landrum. He went to the same high school and university as the commissioner. He made us all laugh at Camp Gruber. He went through "war fighter" training with co-commissioner Adam Duffy. After receiving his commission, he went active duty. He was killed in Afghanistan in May 2013. I won't further the party line that he died for freedom (his or ours) because I don't have to. He was one of us. We have all been in that position, and that's all that matters. I don't know what exists for us after the fade to black, but I hope that Landrum and the rest of our soldiers find peace. It's not much, but the OIL named the PFC trophy after him. Sgt. 1st Class Isaac Lawson was in the California Army National Guard's 49th MP Brigade. The men of 1st Bn. 158 FA (SECFOR) were attached to that brigade in Iraq in 2006 and came to know the men and women of the 49th as their own. On June 5, 2006, SFC Lawson was traveling in a convoy of 158 soldiers near New Baghdad when he was killed by an EFP. It is with deepest sympathy that I announce the death of Sergeant First Class Issac Lawson, age 35, on 5 June 2006, in Baghdad, Iraq. He died as a result of injuries received when his vehicle struck an IED just north of New Baghdad. Sergeant First Class Lawson is survived by his wife Suzette, daughters; Chiara, Krystal and Andrea and stepsons Dominick T. Whitaker and Curtis Goldwire. Sergeant First Class Lawson enlisted in the United States Army on 15 March 1990 and served until 24 February 2001, for a net active service 10 years, 2 months and 24 days. During this period Sergeant First Class Lawson was an Armor Crewman. He was an excellent soldier, as evidenced by numerous awards and commendations. After completion of his active duty and taking a civilian break, he joined the California Army National Guard on 9 November 2002. 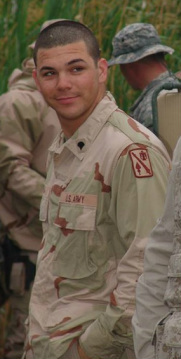 Sergeant First Class Lawson deployed with the Headquarters and Headquarters Company, 49th Military Brigade to Iraq on 16 July 2005 to further serve his country. As a member of the 49th Military Police Brigade, Sergeant First Class Lawson impressed others with his professionalism and experience. His awards include the Bronze Star, Purple Heart, Army Reserve Components Achievement Medal w/bronze OLC (3rd), Army Reserve Components Overseas Training Ribbon, Global War on Terrorism Service Medal (GWOTSM), Army Commendation Medal, Army Achievement Medal (5th Award), Army Good Conduct Medal (3rd Award), Armed Forces Expeditionary Medal, Southwest Asia Service Medal with 1 Bronze Service Star, Armed Forces Service Medal, Army Service Ribbon, Overseas Service Ribbon, Nato Medal, Kuwait Liberation Medal (KU), California Service Medal and the California Commendation Medal. Staff Sgt. Michael Tenequer spent at least two tours overseas. He was the unit armorer on the SECFOR mission in 2006. He passed away on October 7, 2014. He was 47. 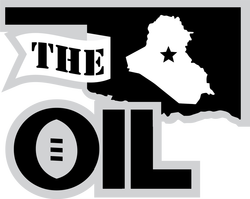 The members of the OIL remember him fondly, as they did at the 2014 live draft when they laughed about "Ten Man's" dry sense of humor and constant game face as he tricked soldiers into looking at non-existent items. The Liberty Bowl trophy is named after "Ten Man." His obituary, via The Norman Transcript, is reproduced below. Staff Sgt. Michael Fred Tenequer, 47, of Norman, went to be with the Lord Tuesday, Oct. 7, 2014, with his family by his side. Funeral services will be 11 a.m. Monday at Post Oak Mennonite Brethren Church, Indiahoma, with Pastor Leonard Presley officiating. Burial will follow at Post Oak Cemetery under the Comanche Nation Funeral Home. Prayer service will be 6 p.m. Sunday at Comanche Nation Funeral Home chapel. Visitation will be on Friday and Saturday from noon to 7 p.m. and Sunday from 1 to 6 p.m. He was born on Feb. 12, 1967, to Julia Bolen Tenequer and Don Tenequer in Okmulgee. He was an avid dart player, OU fan, a member of the Comanche Nation and Chickasaw Nation. He enjoyed bowling, fishing and going to casinos. He was in the U.S. Army for 23 years. His medals and badges include: Army Service Ribbon, Army Lapel Button, National Defense Service Medal, Army Achievement Medal, SW Asia Service Medal with two Bronze Stars, Expert Qualification Badge (hand grenade), Sharpshooter, Army Reserve Component Overseas Training Ribbon and Cation Badge (rifle M16). He is survived by his wife, Shelley Tenequer of the home; mother, Julia Bolen Tenequer of Indiahoma; sisters Martha “Cissy” Turner of Lawton and Mary “Kooch” Tenequer of Indiahoma; brothers Monte Bolen and wife Sylvia of Yukon and Don Tenequer Jr. of Gallup, N.M.; aunt, Linda Yackeyonny of Cache; nieces and nephews, Kevin and wife Roxie Tenequer, Lance Turner, Brittany Turner, Morgan Bolen and wife; mother-in-law, Gloria Handshy of Oklahoma City; numerous cousins; and many people who loved him. He was preceded in death by his father, Don Tenequer Sr.; grandparents William and Martha Asenap Tenequer, and Morgan and Rosetta McCarty Bolen; niece, Margaret Bolen; brother, Joe Paul Tenequer; and uncles Lonnie Tenequer and Winfred Poemoceah.